01 Apr	This entry was published on April 1, 2018 at 8:32 pm. 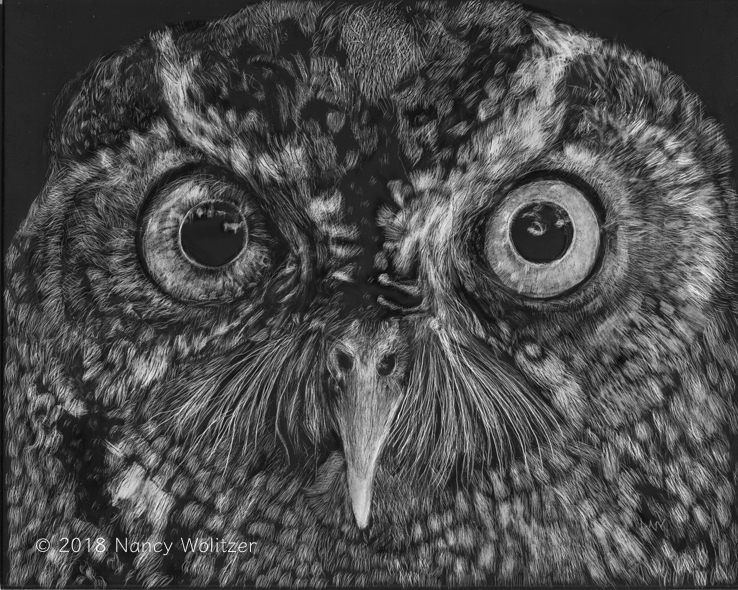 It’s filed under Artwork and tagged Drawing, Nancy Wolitzer, Owls, Scratchboard. Bookmark the permalink. Follow any comments here with the RSS feed for this post. Wonderful drawing Nancy, once again it is the intensity of those eyes that draw you in. Fabulous image! So well rendered. Thanks so much! It is a wonderful photograph and was a lot of fun to draw (scratch).